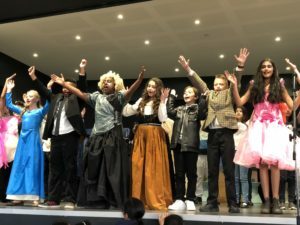 The students in grades 4 – 6 performed “Cinderella Rockerfella” recently. We were very proud of their singing, dancing, acting, stage management and props. The audience thoroughly enjoyed this performance.